FM 1811 highest accuracy in music reproduction. - FM ACOUSTICS LTD.
"You've never heard it so good..."
The fascinating new FM 1811 is the culmination of FM ACOUSTICS efforts in 45 years of dedicated R&D. it really is the ultimate solution to highest accuracy in music reproduction. The FM 1811 leads to a new standard of excellence in the Resolution Series ® design. Two new astoundingly quiet fans using special control circuitry that follows the dynamic envelope of the amps' performance and thermal demands. The resulting silence contributes to the FM 1811's dramatic dynamic rendering. Phenomenal new hand-assembled, layered and frozen transformer uses unique specially treated ultra high-efficiency steel. Not a power station; the highest resolution power supply. Of course, all characteristics that have made FM ACOUSTICS amplifier world renown - like singular discrete circuits, individually tuned and hand calibrated FM ACOUSTICS enhanced class A stages, use of hand-and-listening selected semiconductors etc. - are incorporated. The Resolution Series ® 1811 delivers unheard of realism and a "be there" experience for which neither words nor technical terms exist. The FM 1811 drives any speaker to a performance level that until now could not be reached - and imagined. The FM 1811 requires an ultra-high quality, ultra low-impedance mains supply to deliver its promise. A dedicated supply that can provide a minimum of 125A peak / 25A cont. at 120V (or 60A peak / 12.5A cont. at 230V) is required. (Just for comparisons' sake: the impulse power is more than 4500W per channel...). Absolutely unlimited peak current (over 550 A!). More than 80 A continuous per channel allows the FM 1811 to drive any known load with optimal fidelity. 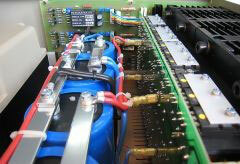 No fuses, absolutely no form of current, voltage or any other kind of limiting are employed. Input: Proprietary, electronically balanced, discrete enhanced class A circuitry, floating ground, non-inverting or inverting mode. Optimal performance with either balanced or unbalanced (single-ended) sources. Unbalanced sources are automatically balanced right at the inputs of the FM 1811. No minimum impedance. Designed for below 1 Ohm to above 10’000 Ohm systems. Can drive any speaker impedance - dynamic, electrostatic, ribbon, planar etc. - without any compression, limiting or any other negative effects on the audio signal. Despite this, the amplifier is fully protected against short circuits and all other adverse conditions via a unique on-board system that continuously surveys all important parameters. FM ACOUSTICS protect against adverse conditions such as short circuit, open circuit, HF Oscillation, RF interference, +DC and -DC offset, multi-fan activity, temperature, blocked or dirty fan filters, damage to the protection system itself, etc. New dual chassis design effectively isolates sensitive electronic and mechanical components from potential negative influences such as induced resonances. Mechanical resonance damping on panels is employed. 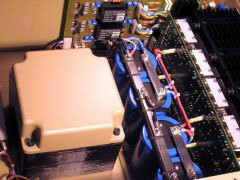 The chassis including cover, transformer mounting, transformer leaves, side panels, capacitor mounting etc. use purpose-designed anti-resonance technology. At 25 o C ambient temperature, medium power, 10h/day, 365 days/year: 38 years. FORCEPLUG 200, ultra low-loss high-performance connectors. For the FM 1811 FORCELINES 3 are required to guarantee ultimate performance. Guaranteed available for a minimum of 10 years. Ex stock availability of 99% of all individual parts. Visiting Munich in Mai ? From 9th to 11th of May FM ACOUSTICS will present at the HifiDeluxe exhibition in the Munich Marriott hotel. As in the last years we will be located in Salon 2 on the first floor. This is a great chance to experience FM ACOUSTICS unique Harmonic Linearizer and the phenomenal ARC (Acoustic Resonance Compensation) circuits. FM 268 C and the FM 266-MKII RC - they eliminate room modes and disturbing resonances. tremendously improved acoustics - with a corresponding massive increase in listening pleasure - the disturbing background resonances are gone! The amazing FM 155-MKII R is keeps the time honoured design that made the "1" series such a success. up to 300 % its cost. 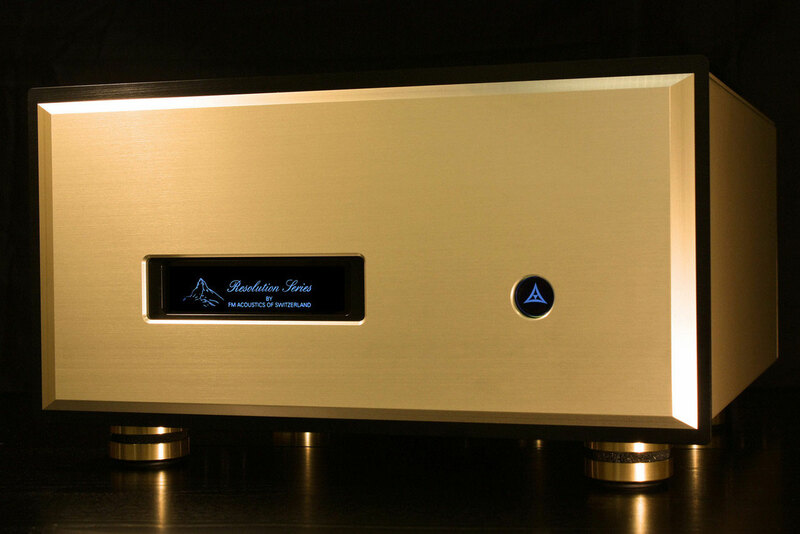 The new FM 123 Phono Linearizer/pre-amplifier. It includes FM ACOUSTICS' unique pop and crackle-reduction circuit - plus more features of the world famous FM 223 PhonoMaster. The FM 123 provides a singular price/quality relation. The FM 266-MKII is now available in three versions, one with the fantastic ARC circuitry of the FM 268 C.